I love an indulgent breakfast, usually on the weekends or holidays but I would take these any day of the year. These are perfect to make for that special someone for Valentines Day. 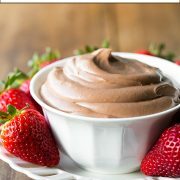 Is there anyone out there who doesn’t love the irresistible flavor combinations of Nutella and Strawberries? 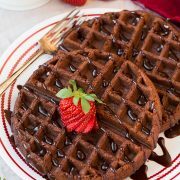 It is like a creamier version of chocolate covered strawberries along with the nutty flavor of hazelnuts. So, I have this confession. I just tried Nocciolata for the first time and I’m sold (it’s an Italian chocolate hazelnut spread). I like it better than Nutella (I never thought I’d say that I’ve found something better). Yes it’s true, but the stuff is harder to find so either one works perfect for these. Don’t worry, I still love you Nutella. Really any brand will do, as long as you love it that’s all that matters. But what really matters here, is this french toast. 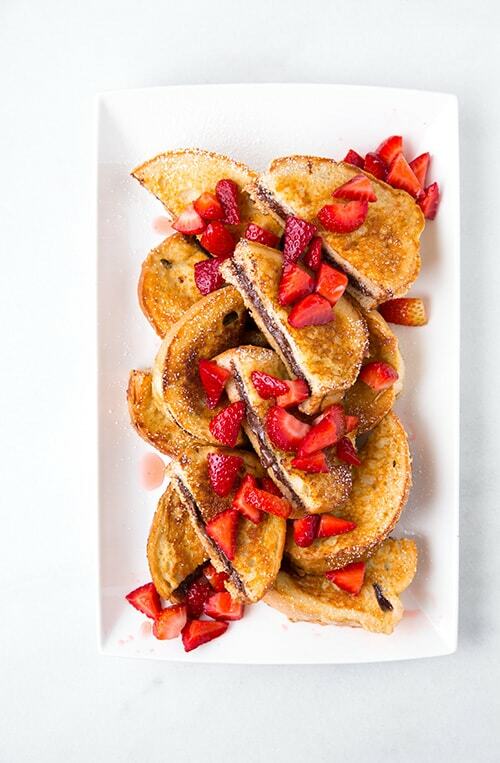 Sweet, macerated strawberries covering hot off the griddle, fluffy, perfectly buttery toasted french toast, that’s sandwiched with warm, runny Nutella drenching each soft bite. Yes, do enjoy! 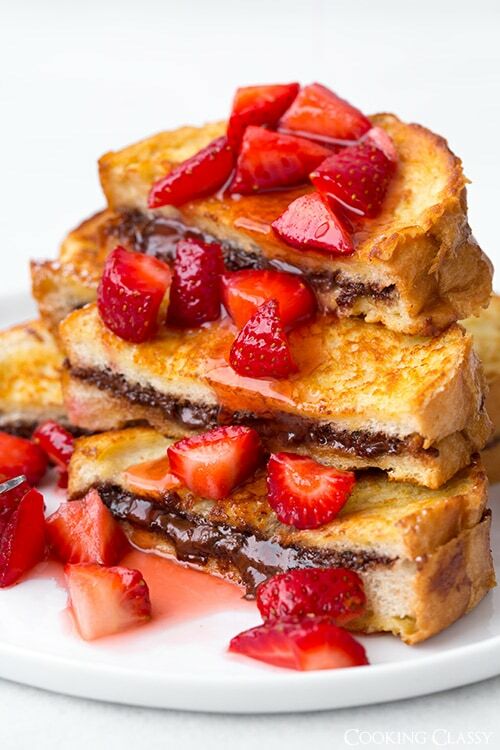 The ultimate way to make french toast - stuffed with a layer of decadent chocolatey Nutella and finishing it with sweet fresh strawberries. Preheat an electric griddle to 350 - 375 degrees. Slice bread using a serrated knife into 1 1/4-inch slices. Cut through the center of each slice (as if butterflying a chicken breast) keeping the end attached. Spread a slightly heaping tablespoon of Nutella inside center of each slice, set aside. To a blender, add milk, cream, eggs, vanilla, granulated sugar, flour, baking powder and cinnamon. Pulse on low speed, about 10 seconds until well combined. Pour into a shallow dish. Dip each side of french toast into egg mixture allowing a few seconds for it to soak up some the mixture, being careful not to submerge the Nutella spread center (I also like to gently squeeze the sides of the bread while dipping so it will soak up the mixture a little and make it into the center of the bread, then when lifting out I will gently squeeze a little excess out. Maybe not professional but it's what I do). Butter griddle just before transferring soaked bread (so butter doesn't burn) and cook stuffed french toast until golden brown on bottom, then lift, butter griddle once more and flip to opposite side and cook until golden brown. 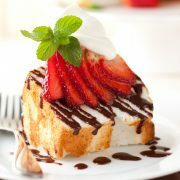 Serve immediately dusted with powdered sugar and topped with macerated strawberries. In a bowl, toss together diced strawberries and sugar and let rest at room temperature 30 minutes. Store in refrigerator.